One of the main focuses for Gadget Show Live 2016 is the integration of virtual reality in gaming, one of the companies in the forefront of this is HTC. Taking up loads of floor space in hall 2, is the Nvidia stand. 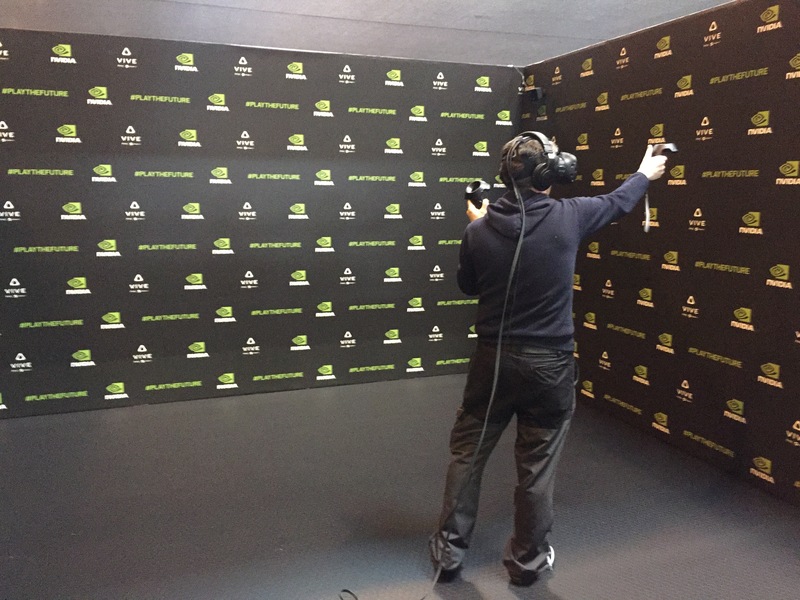 HTC working in partnership with Nvidia and steam are showcasing their contribution to the VR market with VIVE. We spoke to Scott from Nvidia and asked him about what Nvidia recommend for virtual reality. He goes onto say that for a good VR experience you have to have at least 90FPS on 2screens. HTC recommend that you use Nvidia GeForce GTX 970 or above to achieve this. He recommends that you get the 980TI because it will provide you the smoothest experience. The HTC Vive is not available for purchase but is ready for Pre-order and costs £746.60 including taxes and shipping! Sadly there were no representatives from HTC available to speak too about the specifics of the HTC Vive. Next Article FSFX Packages Trike Immersion!